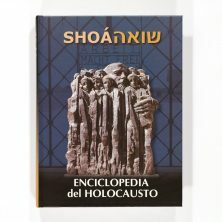 It is widely assumed that small groups of descendants of crypto-Jews who fled the persecutions of the Spanish Inquisition during colonial times and sought refuge in remote regions of Mexico, where they lived among the native people of the country continued for many generations to keep alive in secret, the remembrance of their Jewish origins. Living and intermarrying with local population brought about their full assimilation, and only rarely a few old Jewish practices and beliefs persisted while their significance was totally forgotten. The origins of the modern community of Native Mexican Jews have been the subject of many studies and controversies. The lack of written documentation for most of the colonial period and the early years of the 19th century contributed to the mystery. The Inquisition spread its terror even to isolated places in distant Yucatan or Chiapas, in the northern territories of Chihuahua and New Mexico as well as in central Oaxaca. Even after the abolition of the Inquisition and the introduction of liberal reforms in the first half of the 19th century, it has never been easy for these people to openly declare their Jewishness in the predominant Catholic Mexican society. The history of the modern Native Mexican Jews is based mainly on oral traditions that were transmitted over generations. A distinction should be made between those native Mexicans who consider themselves to be descendants from crypto-Jews and who returned to Judaism and the believers of the Iglesia de Dios – an Evangelist Shabbat-observing sect popular in Mexico during the first half of the 20th century – who are quite often referred to as Israelitas – the Spanish generic name under which all Mexican Jews are known in the country. The most famous community of native Mexican Jews is located in Venta Prieta in the State of Hidalgo. In addition there are a number of small groups of native Mexican Jews located in various parts of Mexico, especially in Tijuana in the State of Baja California, Toluca in the State of Mexico, the Beth Elohim community in Vallejo, Cocula and Apipilco in the State of Guerrero, Puebla in the State of Puebla, and in Veracruz in the State of Veracruz. The emergence of the native Mexican Jews from years of secrecy brought about a quite strong interest in their history and traditions. Not always this curiosity was of assistance for the native Mexican Jews as sometimes various individuals, especially Jews from United States, presented them and their way of life rather as a tourist attraction. The main Jewish community of Mexico has viewed the “Indian” Jews with suspicion, due to the fact that sometimes they were confused with members of the Iglesia de Dios sect, but especially because the largely Orthodox and traditional Mexican Jews had difficulties in accepting the beliefs and the practice of the native Mexican Jews even after their formal conversion to Conservative Judaism. Sometime during the 1850’s some native Mexicans who believed they were descendants of crypto-Jews decided to return to Judaism. Prominent among them was Ramón Jiron of the town of Morelia in the State of Michoacan. According to oral traditions he died at the hands of his neighbors after it was discovered that he abandoned Catholicism. According to other version he run away from home after refusing to submit to his father’s wish and become a Catholic priest. To escape the persecutions he, or only his widow along with their children and a young man called Manuel Tellez, fled to the town of Real de Oro, and then to the nearby Pachuca, in the State of Hidalgo. Eventually the group and their descendants founded Venta Prieta, then a small agricultural settlement in the outskirts of Pachuca. Although following the liberal Constitution of 1857, the freedom of religion was introduced in Mexico, the native Mexican Jews of Venta Prieta as well as in other parts of the country, did not make public their beliefs and practices. Francisco Rivas Puigcerver, himself of crypto-Jewish origins, came to the defense of the native Mexicans Jews already in 1889 in a series of articles he published in his periodicals. 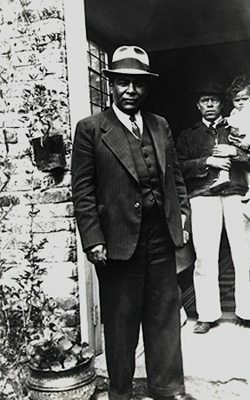 After 1917, following the promulgation of a new, more anticlerical Constitution, the mantle of secrecy that covered many native Mexican Jews started to loosen as they began establishing organized communities as well as entering a gradual process of learning and return to mainstream Judaism. Francisco Rivas was instrumental in coordinating an umbrella organization for some 3,000 native Mexican Jews who lived mainly in Venta Prieta, in the State of Hidalgo, in Mexico City, and in other localities. 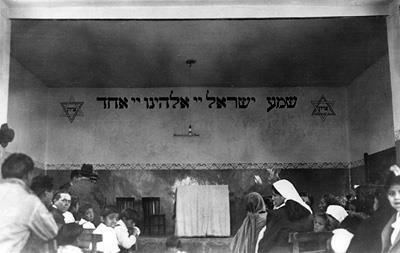 The Kahal Kadosh Bnei Elohim community was established in Venta Prieta in 1920. First reports containing details of the ritual practiced by “Indian Jews” may be found in Francisco Rivas’ periodicals. In his El Sabado secreto he wrote about Indians living in isolated villages who married among themselves only, prayed to God calling him by his old Hebrew name and observed the Shabbat. During their religious ceremonies the prayers were first recited in Hebrew from a sefer and then translated into Spanish. The Native Mexican Jews attracted the interest of other Jews in Mexico as well as in United States. Various visitors to Venta Prieta during the first half of the 20th century described the religious beliefs and practices of the local Jews. They included the observance of the Shabbat, public prayers in the local synagogue during Friday evenings and Saturday mornings. The prayers were mostly in Spanish and sometimes in Hebrew and occasionally chanted on tunes of the Iglesia de Dios. Native Mexican Jews refrained from eating pork and from mingling meat and milk in their cooking, The first synagogue in Venta Prieta was a modest building in which the Holy Ark was located against the north wall, it also had a small organ on which the worshipers accompanied their hymns. A new synagogue was erected in Venta Prieta after a flooding destroyed the old structure in the mid 1950’s. It is a larger building that boasts besides the Holy Ark, a Menorah, a bimah, and an Eternal Light. 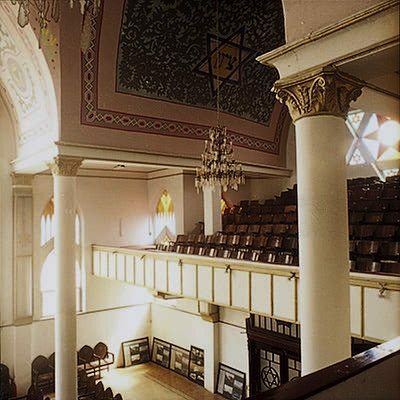 The white walls of the previous synagogue had been substituted by decorations displaying Hebrew quotations from the Bible, lions supporting a Star of David, and a Hanukkiah. The congregation took place on nine rows of pews that could accommodate more than fifty worshipers with men sitting separately from women, both groups on the same floor, according to the Jewish Conservative custom. The edifice of the synagogue has undergone a number of changes, however, it is still unmarked from the outside, a reminder of many years of secrecy. The prayer room is divided by a lace curtain (mechitzah) separating men and women during prayers, with men sitting in front and the women in back. Previously men and women sat on the opposite aisles of the prayer hall. Plans were issued for the building of a new mikveh due to replace the old structure dating from 1972 and located inside the synagogue. In addition there are a community center and a cemetery, all built during the last forty years. Over the years the Indian Jews of Venta Prieta steadily have adopted the practices of mainstream Judaism. A tremendous change occurred in their way of life after their conversion to Conservative Judaism with the help of Rabbi Samuel S. Lerer (1915-2004) who dedicated his life drawing them nearer to the Jewish tradition. Rabbi Lerer, who first visited the community of Venta Prieta in the 1960’s, had taken care of the Venta Prieta community for years even after his retirement to San Antonio, TX, actually becoming the spiritual leader of the Venta Prieta Jews; he was in charge of weddings, bar-mitzvahs, etc. Lately some members of the community underwent conversion according to the Jewish Orthodox ritual and a few immigrated to Israel. Today there are left only few customs that belong to the community original tradition, for instance during Pesach some eat unleavened tortillas instead of matzah. Of the Jewish holidays Hanukkah and Purim telling as they do about persecuted Jews have a special significance for the native Mexican Jews. In 2,000 there were more than 200 native Mexican Jews in Venta Prieta under the guidance of Mr. Reuben Olvera Tellez, the veteran leader, while their religious needs for the first time were taken care of by an Orthodox rabbi from Argentina. As not all members of the community agreed to the move to Orthodoxy, a separate group who wishes to maintain the Conservative tradition split up and started plans for the construction of a separate synagogue. In the early 2,000’s there were eight native Mexicans Jewish families living in Puebla. They all believe they are descendents of crypto-Jews and some of them have been converted to Judaism by Rabbi Samuel S. Lerer. Ignacio Castelán, who was born in the nearby town of Zaragoza in 1943, was the founder of the Puebla community and he has since continued to lead and take care of it. Thanks to his endeavors the first ever synagogue and community center in Puebla were opened in 1999. Veracruz was, during the colonial period, the main port of entry to Mexico and numerous crypto-Jews passed through it on their way to the new country. Crypto-Jews had lived in Veracruz for many years, as the documents of the Inquisition prove. Today, in Veracruz, there exists a small group of people who decided during the 1970’s to return to Judaism. Again with the help of Rabbi Samuel S. Lerer they learned about Judaism and eventually most of them were converted. 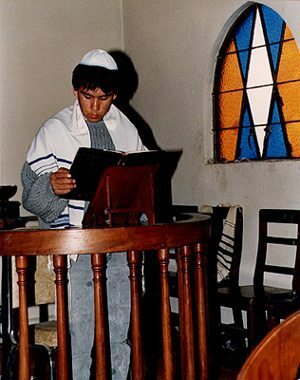 By the end of 1990’s there were some 30 families in Veracruz who conducted a Jewish way of life. Of them a group numbering almost 100 persons immigrated to Israel where some adopted the ultra-Orthodox way of life. Public prayers are conducted in a rented room at an athletic club which serves as the community’s synagogue. The community Beth Elohim in Vallejo, in suburban Mexico City, started its organized and public activities at the beginning of the 20th century following the introduction of liberal legislation. Initially the community consisted of native people who considered themselves descendants of crypto-Jews and who decided to return to Judaism. Baltasar Laureano Ramírez was for many years the spiritual leader of the congregation. They built their own synagogue, known as Temple Beth Elohim, and started to conduct a Jewish way of life according to their understanding. Soon after undergoing a process of learning, the community members began observing the Shabbat and all Jewish holidays, learning Hebrew and in general keeping all Jewish tradition. During the first half of the 20th century some members of the community also started to frequent the Sephardi Community of Mexico City. LOEWE, Ronald B. Building the New Zion: Unfinished Conversations between the Jews of Venta Prieta, Mexico, and Their Neighbors to the North. American Anthropologist, 104:4(2002):1135-1147. See online [PDF].